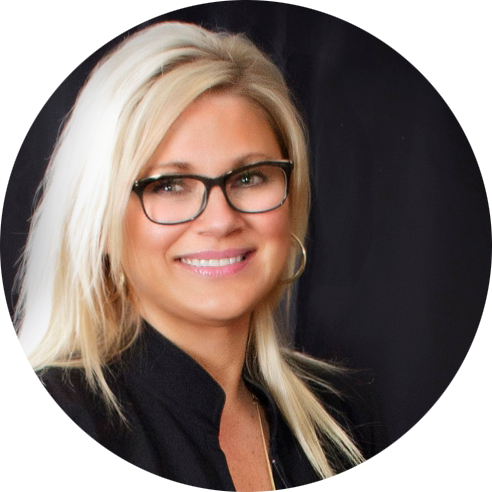 Shawna Nelson is the Director of Sales and Marketing at the Sheraton Cavalier Hotel and the James Hotel in Saskatoon. She is an active member of the business community and the Chamber community in the province. Every small town in Saskatchewan! Washing dishes at the Hanley Café. As cliche as its sounds - right now I’m very proud of my achievements in my career, the recognition I have received at work and within my industry and in my community. For remembering small details about others - not necessarily their names - but I remember everything else about them. I used to be really good with names, but lately the names don’t come as easily as they used to! So many great companies in Saskatchewan are showcased at ABEX, and a few that come to mind that are doing great things in our community include Hillberg & Berk, AGT Foods and Just for You Day Spa. My mother for her inner strength and my dad for his relentless tenacity. Ellen Degeneres - she’s overcome many challenges and has such a successful career! Spending whatever free time I have at the pool, as my daughter is a competitive swimmer with the Saskatoon Goldfins and recently competed in the Canada Games. And I do wish I golfed more and was at the lake more. LOTS! I love giving back to the community that has been so good to me personally and professionally. Lately I have also been spending a lot of time at the pool officiating - I’m SUCH a "swim mom"! This sounds like a trick question... if I “find” it, then it’s not really mine? I would fund start-ups like in Dragons Den but I’d call it “Shawna’s Slush Fund”. I know I would still work, but I would donate more of my time and probably take a few more days off! Complainers or “Debbie Downers”, indecisiveness, and a lack of common sense! Kay Scarpetta forensic thriller series by Patricia Cornwall. I love Dr. K! Seek Mentorship. Choose a person, a program or a group that can provide you the support, give you advice, and tell you about the lessons they learned. Dress and act a certain way to fit into the business world. In particular, this “advice” is so often aimed at women, and it’s just not good advice. Do you have any habits you think have made you successful? I have approached every job I ever had as though I was the owner, and I owned my job like it was my business. What book (or books) have you given most often as gifts, and why? Basic Black: The Essential Guide for Getting Ahead at Work (and in life) - written by the President of Hearst Magazines Cathie Black. The book’s message of pursuing your passions is one of my personal mantras and I think its a great read for my female friends. What advice has had the biggest impact on your life and/or business and why? Do something you are passionate about, do something you love. It took a while, but I found that path and now I provide this advice to anyone who is willing to listen. If you are doing something you love and are passionate about you will naturally succeed! What do you find inspiring about business in Saskatchewan? We are proud but humble, and a resilient and generous business community. We have an underlying “can do” motto and a “roll up your sleeves” attitude.